Check out our selection of LED Area Lighting at SNA. Visit our website or call us today for more information at 800-521-4815. SNA S|Lighting is ideal for area lighting which includes applications for parking lots, gas station canopies, and wall packs. S|Lighting utilizes a unique design for thermal management with a puck system for each LED which opens the product allowing for much better heat transfer through convection instead of relying on large and bulky heat sink fins. This feature coupled with high grade diodes allows S|Lighting products to have an efficacy of over 90 lumens/Watt. 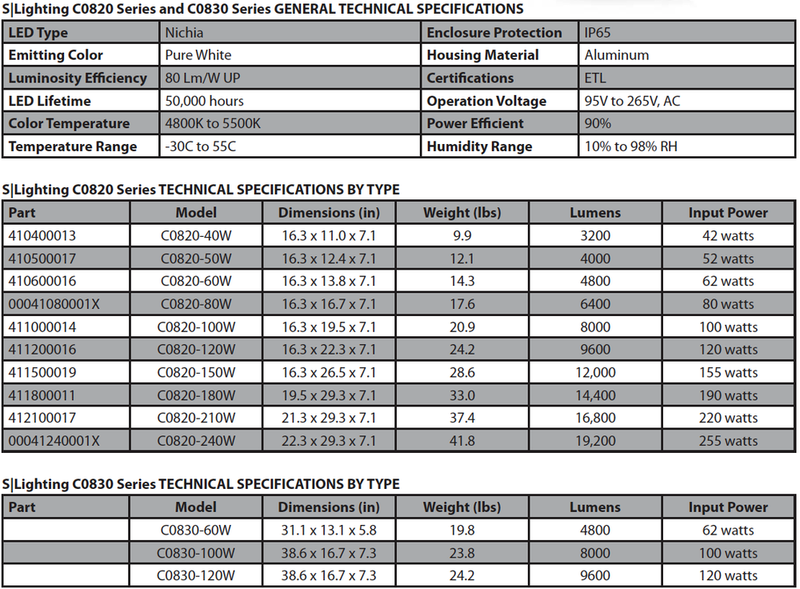 S|Lighting is available in a wide variety of IES Type optic distributions. Providing LED products in outdoor environments for more than 20 years has allowed SNA to include designs that are manufactured for extreme outdoor conditions as each S|Lighting product has an environmental rating of IP65.